NEWTOWN -- The stuffed animals piled on the church lawn paid tribute to a red-haired 6-year-old whose first request to Santa was for a pair of fish and who had asked him to bring her pets every Christmas since. Pink flowers lining the back of the church and the pink vestments worn by the priest honored her favorite color. And her tiny, white coffin symbolized Newtown's ongoing agony as it buries the littlest victims of last week's rampage at Sandy Hook Elementary School. Yet on Thursday morning, the friends, classmates and loved ones of Catherine Hubbard found joy as they recalled the loving, spirited girl who had a way of charming those around her. 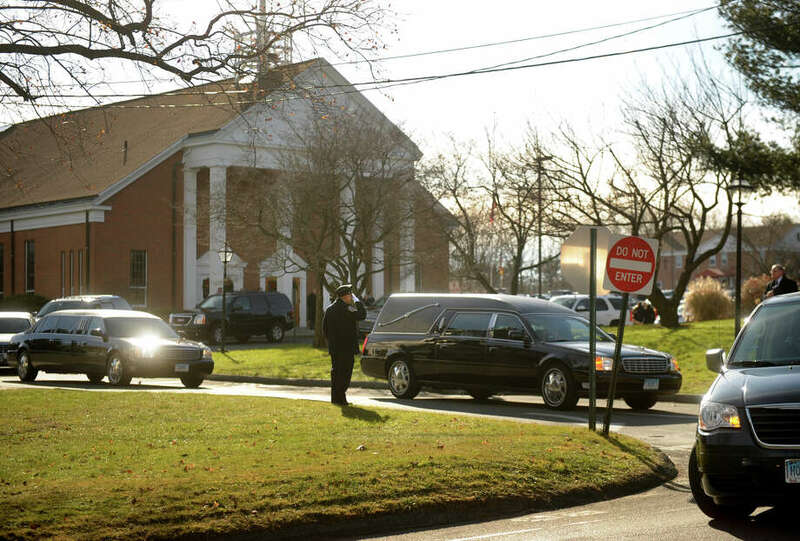 In a composed eulogy that capped a pink-hued funeral Mass at St. Rose of Lima Roman Catholic Church, Jennifer Hubbard told the packed crowd that her daughter and her son had been best friends. Though Frederick was older, she said, it was Catherine who always made sure he was on the right bus for school. Now, the boy wonders who will make sure he gets on the right bus. Later, the Rev. Luke Suarez, who wore a robe of Catherine's favorite pink, told Frederick that whenever he missed his sister he could just look up and she would wink back. The boy announced to the crowd that his sister already had. "She got up there fast," Suarez said, and, for a brief moment, laughter surged through the church.